Recently there has been an increase in Europeans who sold their properties and moved to the Balearic Islands. In Spain there are approximately 2.3 million registered European Union residents, out of which over 130 thousand live on the Balearic Islands. These EU residents make up one eighth of the local population on the Balearic Islands and thus became an important strength on the real property market. The Germans, Brits and Italians are very active on the real property market. However, the average age of people interested in buying properties in the Balearic Islands has recently decreased. Whereas 15 years ago the islands attracted namely people over 60 years of age, the average age of current potential investors is around 40. This is partially caused by the continuous economic crisis. It is a natural consequence of the change of priorities towards more healthy and relaxing life style. Traditionally, those interested in buying real estate in Mallorca and the Balearic Islands were rather older successful people looking for more relaxed and comfortable place for retirement. However, recently they are being replaced by young families who are looking for a change of life style and are also attracted by the low crime rate, high-quality education system, hospitability and favorable weather all year long. 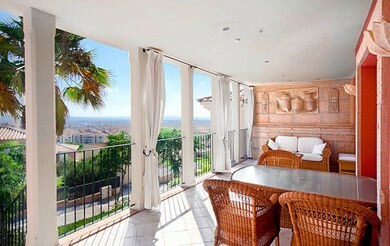 » Offer of real properties in Mallorca.